A soulful tribute to an African American ancestor. Known as 'the artist who makes you think', InnaRae started writing poems at the age of ten…songs, by fifteen. In this album, InnaRae returns “home” and delivers a reconstructive power that encourages others to discover that absolutely no circumstance can diminish the life and light that shines within each soul. Currently, this effort is embedded within the African concept Sankofa. Sankofa defines the process of Africans going back to our roots, searching out, and acquiring what would be helpful to move forward in life. In InnaRae’s case, she reached back into the lives of her elders to ferret out the missing voice of her grandmother, Irene Johnson. Shortly before she died in July 2006, InnaRae wrote 15 songs inspired by the conversations she had with her grandmother while growing up. She recorded twelve of them for this album. 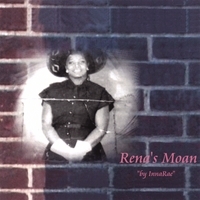 Created to enjoy in one sitting, Rena’s Moan is an intimate and deep-seated portrayal of what she believes sums up only a portion of her grandmother’s experiences in human form. Each song tells a story that strikes a delicate balance between facing her demons and transforming them into something that can be of great value to others. Generally speaking, this work covers many a woman’s struggle with being in the mid –1900s. It is InnaRae’s hope that those who share in her battles, her disappointments, her spirit, her joys… will listen with a sense that they are not alone in the undertaking of authentic self-expression.